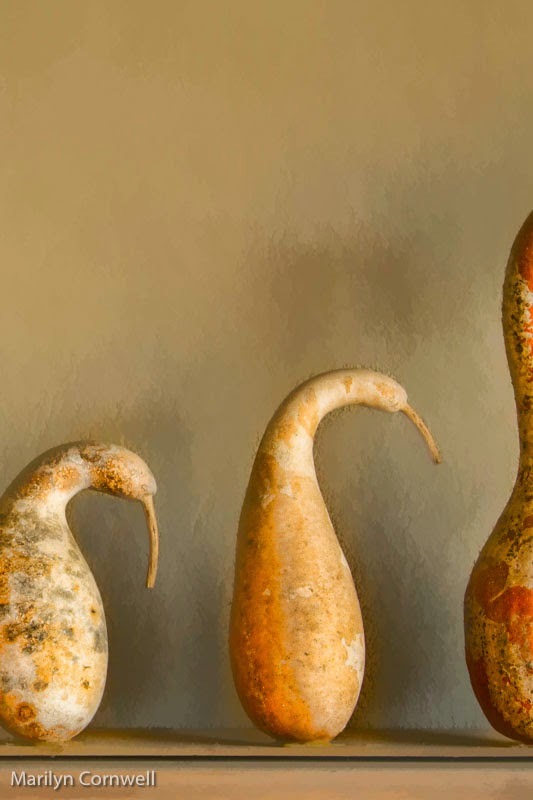 We think of garden sculptures as pieces set out in the garden amongst the plants and lawns. What usually comes up in my mind would be large pieces whether antique stone or modern metal. But what is it really? I find out that my notions of what something is get challenged all the time. I found this display yesterday. I would call it sculpture. 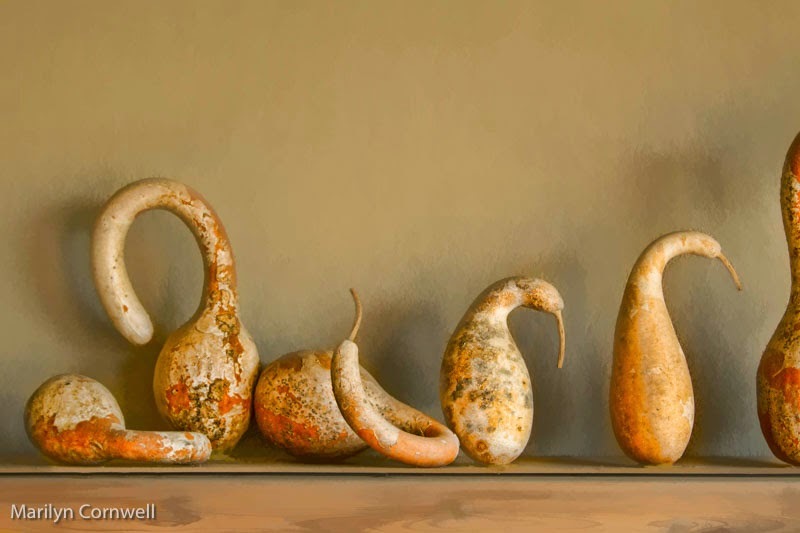 These are gooseneck gourds carefully chosen and placed on a potting bench shelf.